Since in real life I’m a phone psychic like Miriam, the heroine of Kaylee’s Ghost, you’d think that the book would just be channeled to me like a psychic reading. Some scenes definitely were, but I had to work hard at organizing everything, refining, and making choices over many drafts (and I don’t mean of beer). Initially I knew that Kaylee’s Ghost would be a story about life here on Earth and after we've passed on as well as a domestic drama spanning five generations, a tale about forgiveness, letting go and discovering who we are meant to be, no matter how unusual. Grandmother Miriam, thrilled that her granddaughter, Violet, seems to be psychic, wants nothing more than the chance to mentor her the way her own Russian grandmother had done with her. But Cara, Miriam’s daughter, a modern businesswoman who remembers all too well the downside of living with her psychic mother, digs in her heels. As things become more fractious in the family, Violet, a brilliant and sensitive child, is torn between her mother and grandmother, until Miriam’s gift backfires, bringing terrible danger to those she loves. Can Miriam put things right in time, or is it already too late? Through Miriam, I show how visions arise in a psychic’s mind. While Miriam mentors Violet, she also mentors the reader. Hope you read Kaylee’s Ghost during breakfast, lunch, and supper. Articles have been written about Rochelle Jewel Shapiro’s psychic gift in such places as Redbook, The Jerusalem Post, the Dutch Magazine, TV GID, and the Long Island section of the New York Times. 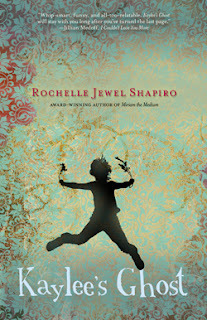 She’s chronicled her own psychic experiences in Newsweek (My Turn), and The New York Times (Lives) which can be read on her website at http://rochellejewelshapiro.com. 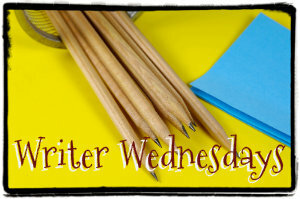 Her first novel, Miriam the Medium (Simon & Schuster) was nominated for the Harold U. Ribelow Award. 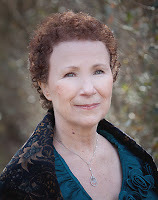 Besides her psychic practice, Shapiro teaches writing at UCLA Extension. Girl Who Reads is an advertising affiliate with Amazon and IndieBound; a small fee is earned when purchases are made using the above links. The views, beliefs, and opinions expressed by guest post authors are their own and do not necessarily reflect those of Girl Who Reads. a modern businesswoman who remembers all too well the downside of living with her psychic mother, digs in her heels. I wonder how difficult must it be for psychics. I've known a Metro Detroit psychic and he's been putting up to his name incredibly so far, although his limits are yet to be tested.